G2 Crowd has released its Spring 2019 G2 Crowd Secure Email Gateway Performance Report. The report highlights the leading email security gateways for businesses that protect them from email-based threats such as malware, ransomware, botnets, viruses and phishing and social engineering attacks. 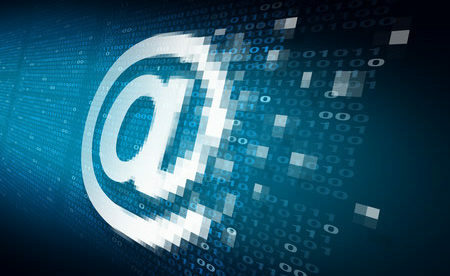 Secure email gateways are comprehensive email security solutions through which all incoming and outgoing emails pass. They scan the content of all emails to determine whether the messages should be delivered, quarantined, or rejected. The solutions include a user governance system to identify malicious IPs and domains to prevent communication with end users. 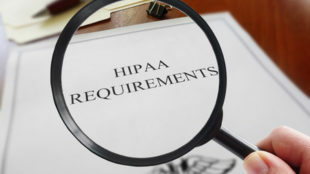 The solutions also securely encrypt communications and incorporate archiving for compliance. Selecting the best software can be a challenge for businesses. Software providers list the features of their products, so it is straightforward selecting software that has the required functionality, but many solutions are difficult to use and do not quite live up to expectations. To help businesses select the best software solutions, G2 Crowd releases quarterly Grid reports for business software. G2 Crowd amalgamates user reviews of software solutions and creates its grid reports based on user ratings. Products are categorized into four quadrants of the grid: Niche, High Performers, Contenders, and Leaders. Niche products have a low customer satisfaction level and market presence. High Performers have high satisfaction levels but a small market presence. Contenders have low satisfaction levels but strong market presence, and leaders have strong market presence and a high user satisfaction level. 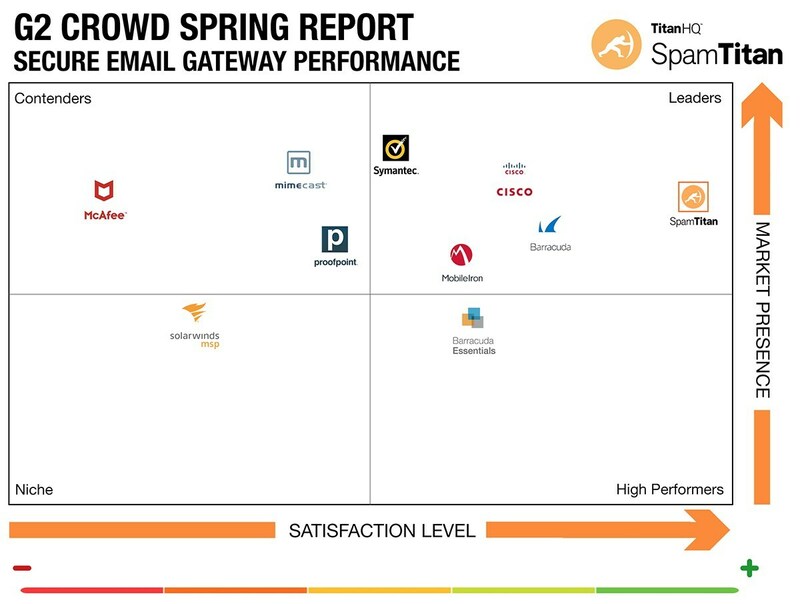 The Spring report has seen TitanHQ’s SpamTitan secure email gateway rated leader, based on excellent customer feedback across the board. 97% of users gave the solution 4 or 5 stars and 92% of users said they would recommend the solution to other businesses. SpamTitan received a score of 94% for quality of support, which was 10% higher than the average score, and 94% for meeting requirements. The solution was given a score of 92% for ease of use, which was also 10% higher than the average, and 90% for ease of admin. The combined scores made the solution the clear leader. “TitanHQ are honored that our flagship email security solution SpamTitan has been named a leader in the email security gateway category. Our customers value the uncompromised security and real-time threat detection. The overwhelmingly positive feedback from SpamTitan users on G2 Crowd is indicative of our commitment to ensuring the highest levels of customer success” said Ronan Kavanagh, CEO, TitanHQ.